The Hunt is over! We hope that the next issue will bring out the launch date for the Redux Badge! New Tinkapad Of The Week! 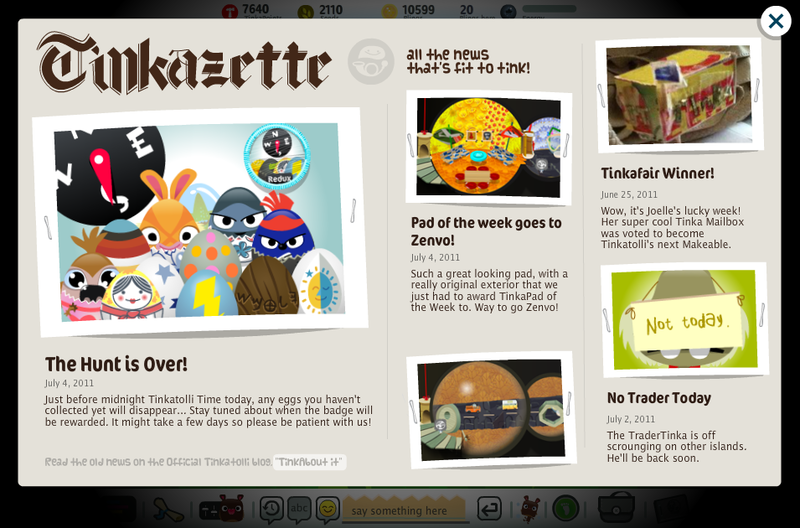 Tinkatolli Staff says this about this Pad's weeks which belongs to ZENVO! Such a great looking pad, with a really original exterior that we just award TinkaPad of the Week to. Way to go Zenvo! Congratulations again! Also, the Trader is Off Scrounging on other islands. He'll be back soon!